One of the top drivers in Briggs 206 racing in 2017 was Eric Fagan. The driver from Ohio was solid at all levels during the season. 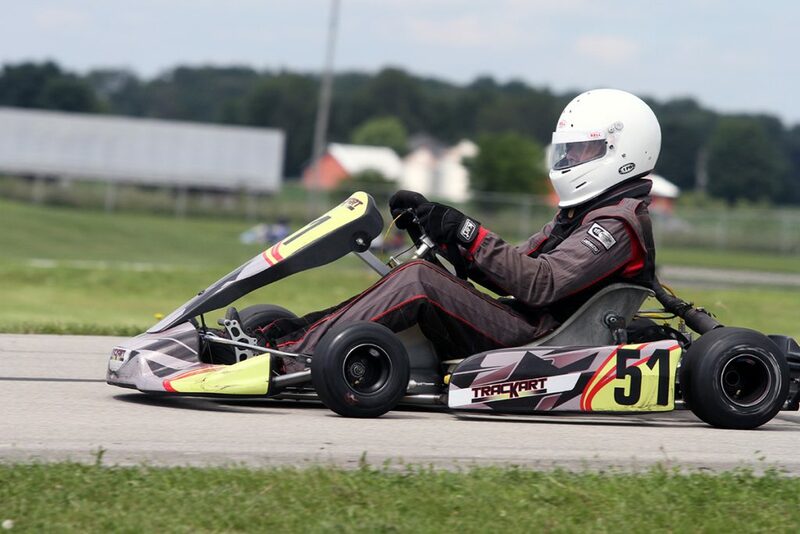 This was the first year Fagan took part in the Briggs Weekly Racing Series program, competing in the 206 CIK division at the Kart Racers of America (KRA) series at New Castle Motorsports Park. Last year, Fagan won the 206 Senior (full bodywork) class championship thanks to 10 wins and 11 podium finishes. Fagan made the two-hour trip to compete in all 14 rounds of the KRA series for a third straight year. He was able to match that record with 11 wins in the 206 Senior category, in addition to eight wins and nine podiums in the 206 CIK division. Eric earned the championship in both classes, with the 206 CIK results helping him to earn the sixth spot in the Briggs Weekly Racing Series. Fagan began karting in 1995 at the Circleville Raceway Park aboard a Coyote chassis. In 2017, Eric earned the WKA Manufacturers Cup Series Briggs 206 title, landing on the podium six times with three victories.